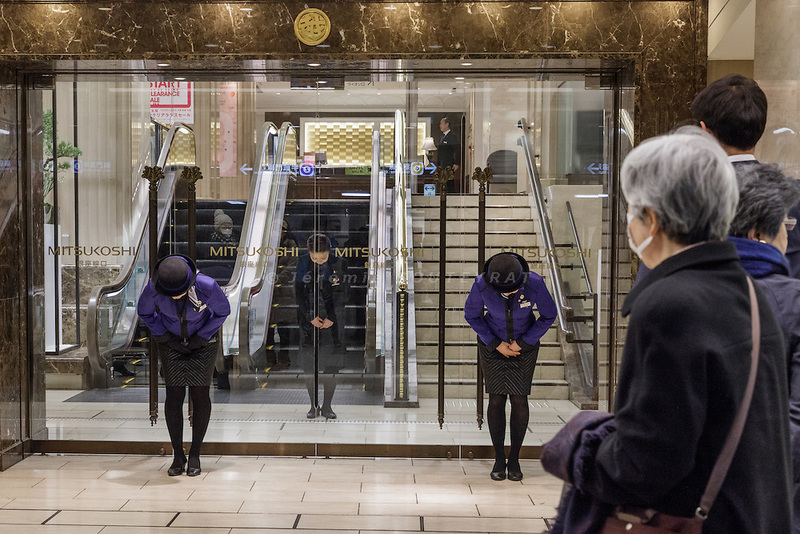 Tokyo, January 19 2016 - Opening of the store at Mitsukoshi Nihonbashi department store. In Japanese department stores, the basement floor is a foodstuff market area. These areas go by the nickname "depachika" (a combination of "depato", meaning department store, and "chika", meaning basement).